The Peak District National Park required graphic design and visual work to tell the story of how important 555 square miles of National Park are on a local, regional and global level. A great many visuals were created, the summary of which is shown below, that tethered a typical visitor to the landscape through the city into the oceans. The brief was to make the experience flow, the colours to be ‘on brand’ and the story clear. It is a complex story made simpler by a series of infographics supported by a central visual illustration. 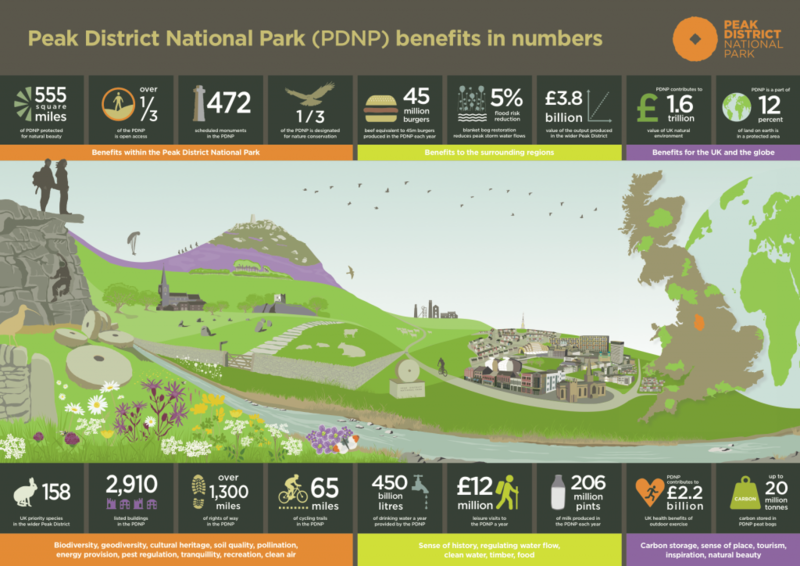 Infogramme showing the benefits that the Peak District National Park provides to the UK and the World. 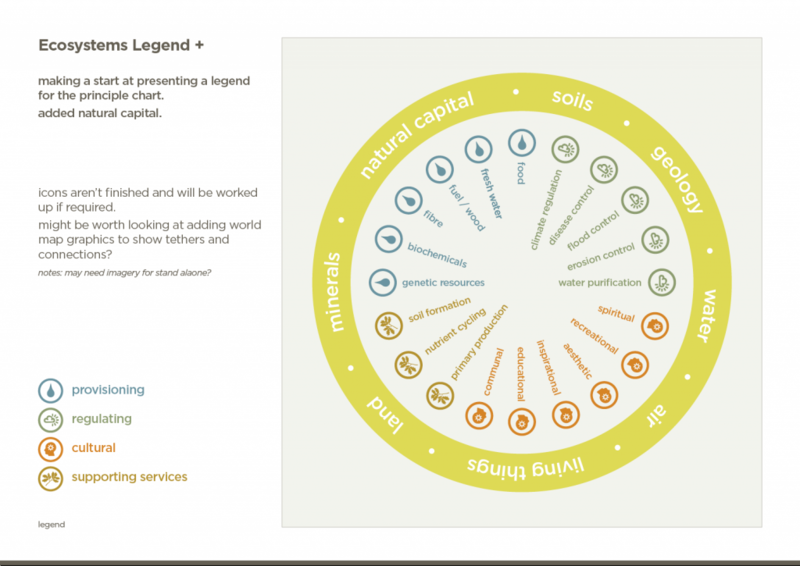 Ecosystems legend. As part of the project a number of additional graphics were created. 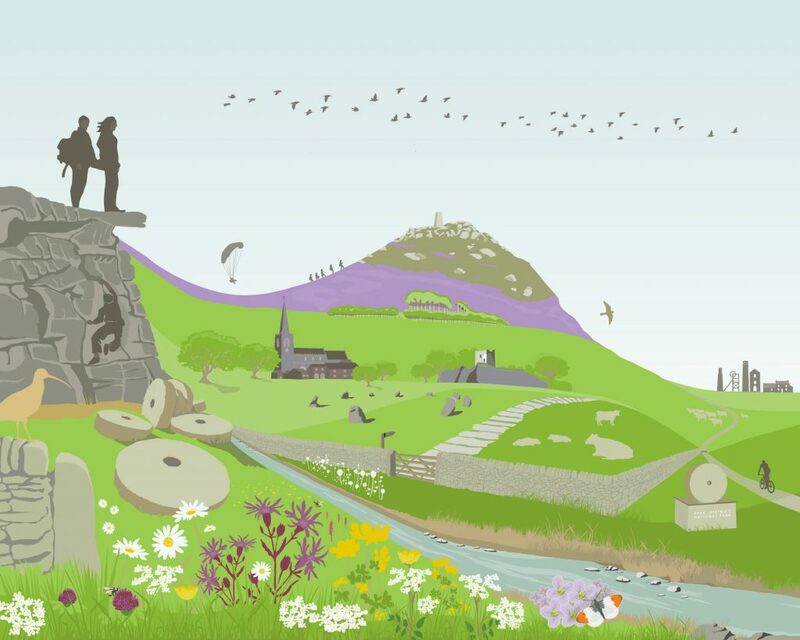 Above: A rural landscape incorporating a flower meadow, millstones, stonewalls, castleton, a crag, hathersage church, mininglow, magpie mine and the summit of lose hill. The work was required in a vector format so that it could be scaled to any size. 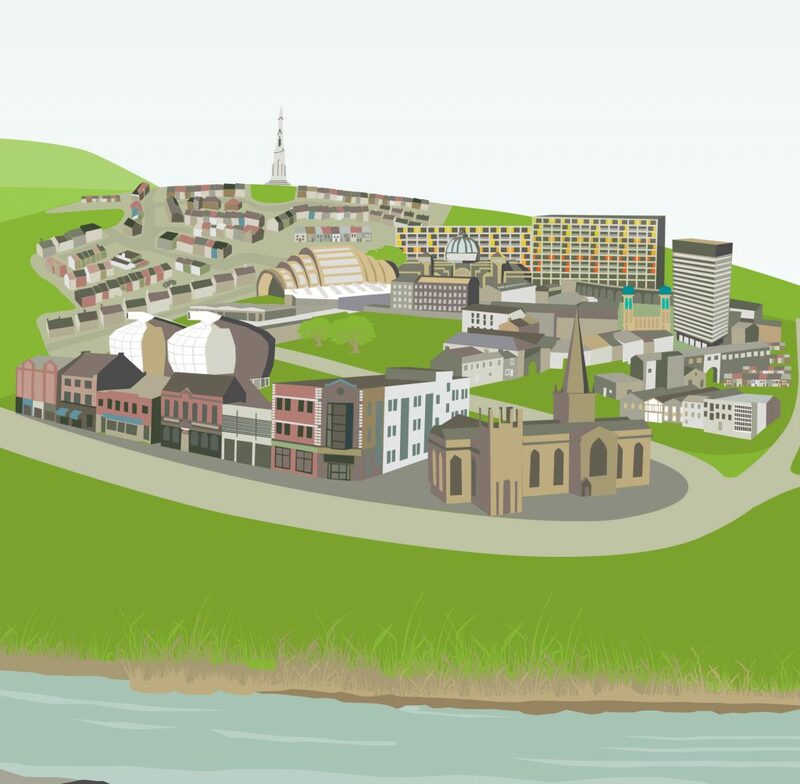 Above: A very loose visual interpretation of Sheffield.